Japhet and Asenath were enumerated in the 1850 Granby, Hartford Co., CT, census with Lydia age 20, Cornish age 17, Ralph age 15, and Mary age 9. Japhet and Asenath were enumerated in the 1860 Granby, Hartford Co., CT, census with Mary Lovinia, a 19-year-old school teacher. [S101] Ruth Cost Duncan, John Case, Page 106/Item 267. Lydia Case was born on 23 July 1830 at Barkhamsted, Litchfield Co., CT. She was the daughter of Japhet Homer Case and Aseneth Colt.3 Lydia Case married Seth Franklin Roberts. Lydia Case died on 21 February 1895 at age 64. [S101] Ruth Cost Duncan, John Case, Page 107. [S104] DAR DAR Lineage book, Vol CX:Pg. 313/Item 109984. Seth Franklin Roberts was born on 8 February 1830. He married Lydia Case, daughter of Japhet Homer Case and Aseneth Colt. Seth Franklin Roberts died on 10 September 1921 at age 91. He was buried at Riverside Cemetery, Barkhamsted, Litchfield Co., CT.
Mary Elizabeth Wylie was born in 1836. She was the daughter of William P. Wylie and Charlotte French. Mary Elizabeth Wylie married Curtis Joseph Norton, son of Joseph Andrews Norton and Betsy Ann Hoppin, in 1856. Mary Elizabeth Wylie died in 1911. [S25] Hannah McPherson, Holcombe Genealogy, Page 32.1/Item A-4-2-1-1-3-2-1-1. [S104] DAR DAR Lineage book, Vol. CXII:Pg. 239/Item 111726. Curtis Joseph Norton was born in 1831. He was the son of Joseph Andrews Norton and Betsy Ann Hoppin. Curtis Joseph Norton married Mary Elizabeth Wylie, daughter of William P. Wylie and Charlotte French, in 1856. Lucy I. Norton was born at Pleasant Ridge, KS. She was the daughter of Curtis Joseph Norton and Mary Elizabeth Wylie. Lucy I. Norton was a member in 1914 at DAR; 111726, Washington, DC. Louisa Angelina Bennett was born in 1820. She was the daughter of David S. Bennett and Penthria Hillyer Holcombe. Louisa Angelina Bennett married Henry M. Voorhis in 1840. Louisa Angelina Bennett died in 1894. [S25] Hannah McPherson, Holcombe Genealogy, Page 195.2/Item A-8-3-3-1-5-3-5. [S104] DAR DAR Lineage book, Vol. CXII:Pg. 313/Item 111981. Henry M. Voorhis was born in 1814. He married Louisa Angelina Bennett, daughter of David S. Bennett and Penthria Hillyer Holcombe, in 1840. Henry M. Voorhis died in 1894. Manilus N. Voorhis was born in 1845. He was the son of Henry M. Voorhis and Louisa Angelina Bennett. Manilus N. Voorhis married Mary Addel Henry in 1871. Manilus N. Voorhis died in 1892. [S25] Hannah McPherson, Holcombe Genealogy, Oage 195.2/Item A-8-3-3-1-5-3-5-1. Mary Addel Henry was born in 1850. She married Manilus N. Voorhis, son of Henry M. Voorhis and Louisa Angelina Bennett, in 1871. Guilda Voorhis was born at Charlestown, IL. She was the daughter of Manilus N. Voorhis and Mary Addel Henry. Guilda Voorhis was a member in 1914 at DAR; 111981, Washington, DC. [S25] Hannah McPherson, Holcombe Genealogy, Page 195.2/Item A-8-3-3-1-5-3-5-1-1. Ruana Dutcher Bennett was the daughter of David S. Bennett and Penthria Hillyer Holcombe. Anna Maria Bennett was the daughter of David S. Bennett and Penthria Hillyer Holcombe. Daniel Noble Bennett was the son of David S. Bennett and Penthria Hillyer Holcombe. Charity Loomis Bennett was the daughter of David S. Bennett and Penthria Hillyer Holcombe. Mary Jane Bennett was the daughter of David S. Bennett and Penthria Hillyer Holcombe. Horace Holcomb Bennett was the son of David S. Bennett and Penthria Hillyer Holcombe. Albert Strawn was born in 1840. He married Olive Keturah Holcombe, daughter of Jeptha Holcombe and Ellen Richardson, on 31 July 1865. Albert Strawn died on 1 February 1914. Azil Strawn was born on 18 May 1867. She was the daughter of Albert Strawn and Olive Keturah Holcombe. Ella Maria Strawn was born on 29 September 1869. She was the daughter of Albert Strawn and Olive Keturah Holcombe. James Albert Strawn was born on 20 December 1871. He was the son of Albert Strawn and Olive Keturah Holcombe. James Albert Strawn died on 11 June 1907 at age 35. Oscar Warren Strawn was born on 4 May 1875. He was the son of Albert Strawn and Olive Keturah Holcombe. Julia Keturah Strawn was born on 16 June 1877. She was the daughter of Albert Strawn and Olive Keturah Holcombe. Arthur Sylvester Strawn was born on 12 November 1879 at Welland Co., Ontario, Canada. He was the son of Albert Strawn and Olive Keturah Holcombe. 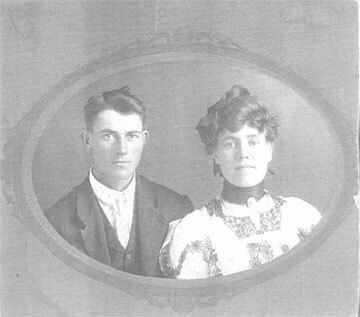 Arthur Sylvester Strawn married Marie Tommerbakken in 1905 at Bottineau, ND. Arthur Sylvester Strawn died in 1943. Ethel Estella Strawn was born on 7 July 1882. She was the daughter of Albert Strawn and Olive Keturah Holcombe. Roy Strawn was born on 22 September 1885. He was the son of Albert Strawn and Olive Keturah Holcombe. Roy Strawn died on 7 January 1891 at age 5. Clara Viola Strawn was born on 25 November 1887. She was the daughter of Albert Strawn and Olive Keturah Holcombe. Clara Viola Strawn died on 10 January 1891 at age 3. Olivia Jane Strawn was born on 4 February 1890. She was the daughter of Albert Strawn and Olive Keturah Holcombe. Clarence Earl Strawn was born on 9 July 1892. He was the son of Albert Strawn and Olive Keturah Holcombe. Margaret Elizabeth Bradley was born on 22 January 1862. She married William Oscar Holcombe, son of Jeptha Holcombe and Ellen Richardson. Dora May Holcombe was born on 8 July 1887. She was the daughter of William Oscar Holcombe and Margaret Elizabeth Bradley. Dora May Holcombe married Harry Hugo August. [S25] Hannah McPherson, Holcombe Genealogy, Page 168.1/Item A-8-1-6-5-1-1-3-4-1. Harry Hugo August was born in 1885. He married Dora May Holcombe, daughter of William Oscar Holcombe and Margaret Elizabeth Bradley. Margaret Ann August was born on 20 January 1917. She was the daughter of Harry Hugo August and Dora May Holcombe. Margaret Ann August lived in 1944 at 495 Douglas St., Los Angeles, Los Angeles Co., CA. [S25] Hannah McPherson, Holcombe Genealogy, Page 168.1/Item A-8-1-6-5-1-1-3-4-1-1. Gunda Olstead was born on 26 April 1878. She married David Holcombe, son of Jeptha Holcombe and Ellen Richardson. Olive Holcombe married Ray McInnes. Olive Holcombe was born on 12 January 1906. She was the daughter of David Holcombe and Gunda Olstead. [S25] Hannah McPherson, Holcombe Genealogy, Page 168.1/Item A-8-1-6-5-1-1-3-6-1. Harry Holcombe married Fern Carroll. Harry Holcombe was born on 7 March 1909. He was the son of David Holcombe and Gunda Olstead. [S25] Hannah McPherson, Holcombe Genealogy, Page 168.1/Item A-8-1-6-5-1-1-3-6-2. Ray McInnes married Olive Holcombe, daughter of David Holcombe and Gunda Olstead. Ray McInnes was born on 31 August 1908. Fern Carroll married Harry Holcombe, son of David Holcombe and Gunda Olstead. Fern Carroll was born on 10 May 1911. Cherie Holcombe was born on 27 June 1935. She was the daughter of Harry Holcombe and Fern Carroll. Sarah Horton was the daughter of Zaphaniah Horton and Abigail Thomas. Sarah Horton married Norman Chandler Holcombe, son of Drayton Holcombe and Keturah Skinner. Zaphaniah Horton married Abigail Thomas. Abigail Thomas married Zaphaniah Horton. Azuke's father, Norman Chandler Holcombe, lived with her when he was very old. Azile A. Holcombe was born on 3 October 1859. She was the daughter of Norman Chandler Holcombe and Sarah Horton. [S25] Hannah McPherson, Holcombe Genealogy, Page 168.1/Item A-8-1-6-5-1-1-4-1.